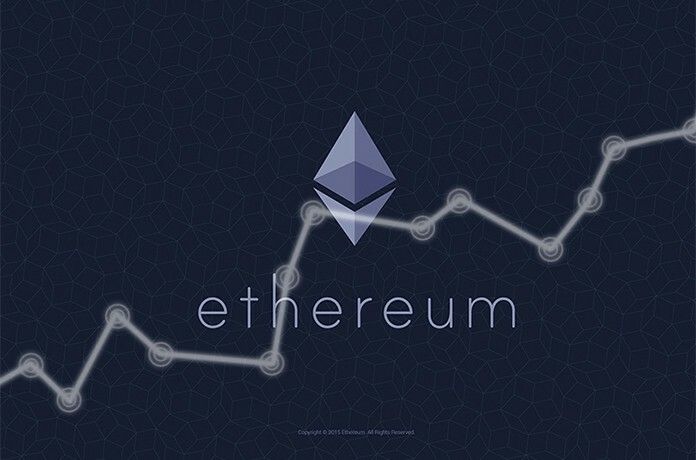 In June 2017, Ethereum’s price reached a record high of $398. Considering that is was just $6 at the start of 2017, it’s perfectly fine to say that the cryptocurrency is gaining solid momentum with experts saying it’s going to surpass Bitcoin as the most popular in its category on a global scale. And as Ether’s price (it’s Ethereum token) rises, so will the demand for safe, best Ethereum wallet apps for iPhone. 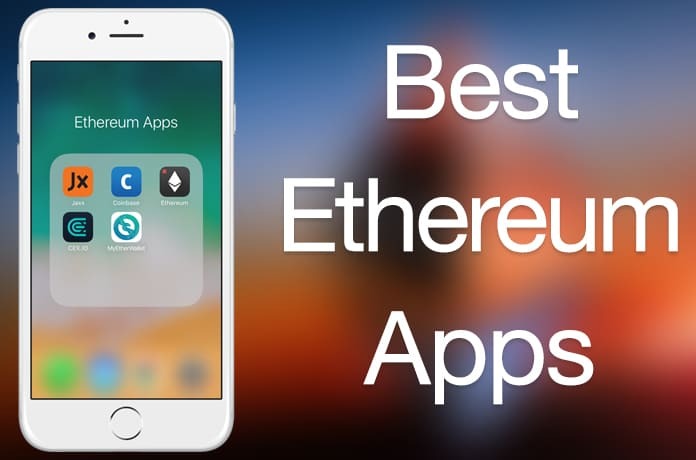 Before we share with you the best Ehthereum wallet apps for iPhone, let us first enlighten you more on Ethereum. It’s a cryptocurrency, but it’s much more than that. It’s a decentralized block-chain technology backed distributed cloud computing platform that’s capable of running digitally smart contracts. Because it’s able to support these contracts, many believe it’s going to take over Bitcoins soon. Smart contacts go back to the 90s, but blockchain technology has made their implementation possible. Blockchain in its essence is a distributed database that is utilized to manage an increasing list of records in a manner that’s resistant inherently to data modification attempts. With smart contacts, users can program the contract’s terms between seller and buyer to verify, facilitate and enforce contract’s performance. The contacts run exactly as they’ve been programmed without any risk of third party takeovers, censorship, downtime or fraud. All this information is detailed on Ethereum’s official site. Because computational power is needed to execute smart contracts (which should be provided by someone), the instructions that Ethereum contracts contain should be paid for using Ether. Therefore, those who are owning a lot of Ether have the ability to pay for several smart contracts. If these contracts really become useful at a big space in the public service and the financial services sector, Ether’s value is going to increase by manifold. What Are the Best Ethereum Wallet Apps For iPhone? If you’re an iPhone owner wanting to try Ethereum out, you have loads of options to securely store Ethers. 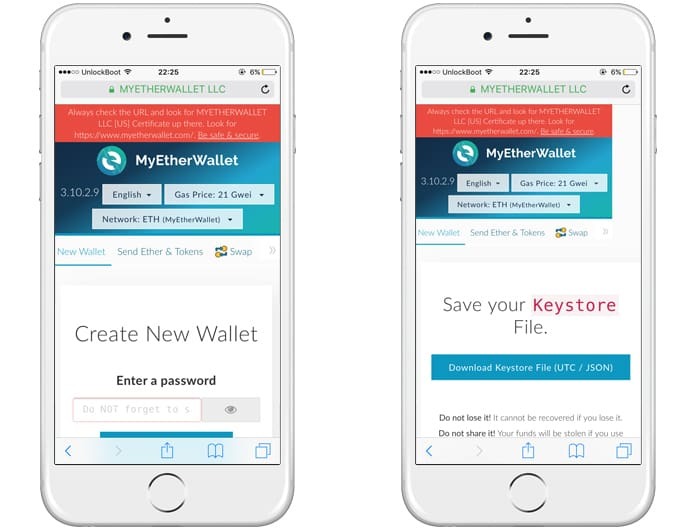 Similar to all cryptocurrency wallets, the best Ethereum wallet apps for iPhone classify in two broad categories: local wallets and cloud-based wallets. The latter is known for hosting the private key to users’ account in the cloud. That means people are at the wallet providers’ mercy as well as their ability to secure accounts and servers. On the other hand, local wallets are known to store the private key on a special hardware device or on the PC, which means the security of the wallet is the responsibility of the user. Created in 2012, the popular exchange was recently approved by New York Department of Financial Services to trade Litecoin and Ethereum currencies, which extended the scope of international exchange services it offers. On Coinbase, users can set up an Ethereum wallet in a few minutes and instantly enjoy the proven and reliable exchange offers. However, they need to note that Coinbase stores the private key to the Ethereium on its servers, so you’re bound by the security measures they’ve taken. 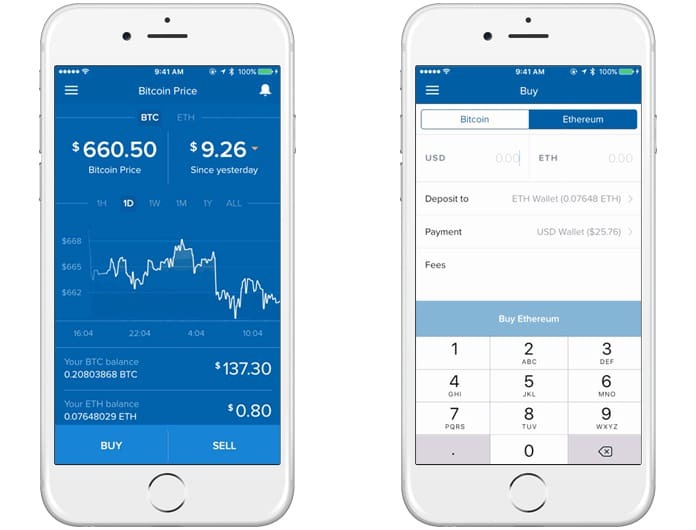 Coinbase has an official app for iPhone that’s available on the App Store. 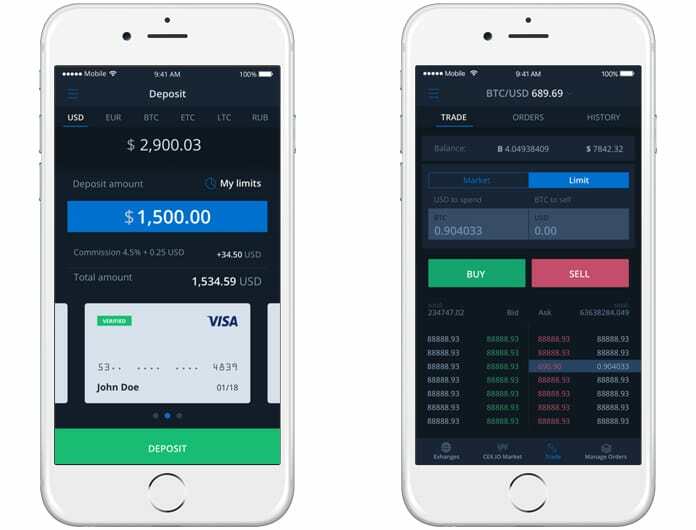 This is a multi platform wallet and runs on a whole ton of OS; be it iOS, Android, MacOS, Chrome, Linux or Windows. It is an almost perfect blend of eye catching and elegant interface and displays with robust security. It supports numerous crypto-currencies and private keys are stored locally so your valuable currency is safe. It isn’t open source due to security reasons but code inspection is still possible using different methods. The best part is that interested parties can even inspect the source code right from the home page. They have nothing to hide and it can be accessed by a single click of a button. Download the App for your device from the official website. The CEX.IO App for iOS can be downloaded from App Store and you can install it on your iPhone. Just with a few clicks you can quickly buy and sell Ethereum coins directly from Coinbase. The application is available in more than 30 countries around the world. You can easily link your Paypal, bank account, credit card or PayPal. You can also access your account on their website and manage it from your computer. The CEX.IO app comes with a lot of security options for your mobile wallet. The app is download by more than a million users around the world. This is a client side interface which isn’t capable of holding keys. What sets it apart from other Ethereum wallets is that it allows possession of private keys on your own private local machine. This means it’s possible to easily create an Ethereum wallet without running a full node and broadcasting and storing the complete blockchain on your PC. Once the wallet has been created on your website, there are numerous options to choose from to save your key. Download .JSON files with encrypted OR non-encrypted versions of your private key or just get a copy in simple text form; the choice lies with you. There is a mobile friendly web interface which allows flawless running across all devices; it’s very useful for all types of situations and purposes. While this has the appearance of a typical USB drive, it is actually anything but. In reality, it’s a robust crypto-currency hardware wallet with airtight security. Its primary purpose is to act as a secondary authentication system for other services. Setting it up is as simple as plugging into your PC and choosing a PIN; after that, there are twenty words to note down which basically act as a form of recovery. 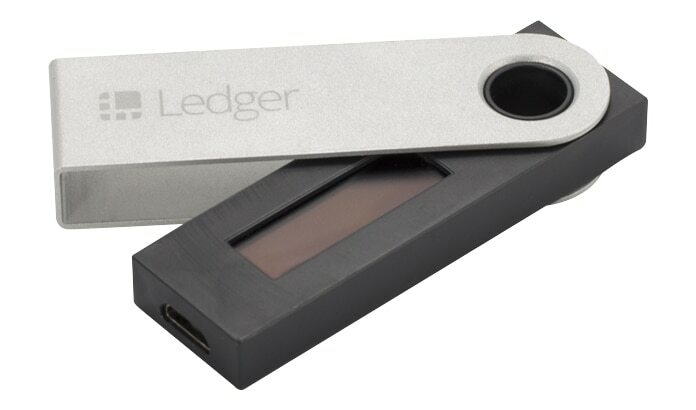 This recovery can be useful in case of loss or damage to the Ledger Nano S. After it has been configured and connected it is possible to install and use the official Chrome app to conduct crypto-currency transactions. 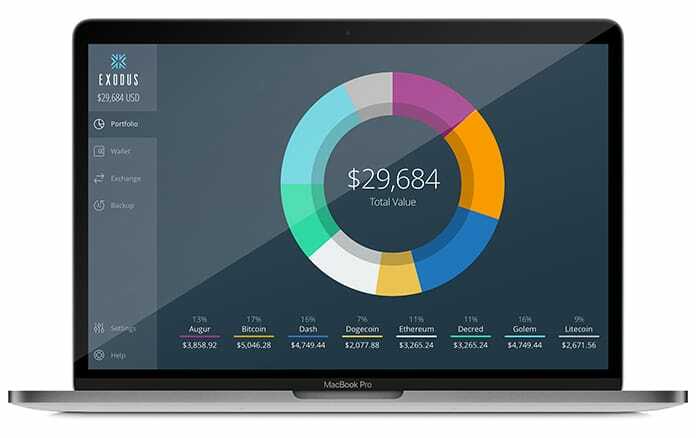 This is quite an attractive Ethereum wallet and is available on Mac, Windows, and Linux. Private keys and transaction details are encrypted locally and it supports many currencies ranging from Aragon, Augur, and Bitcoin to EOS, Ethereum, Golem and Litecoin. It is visually very appealing and all menus, icons, and interfaces are really eye catching which makes using it a real pleasure. 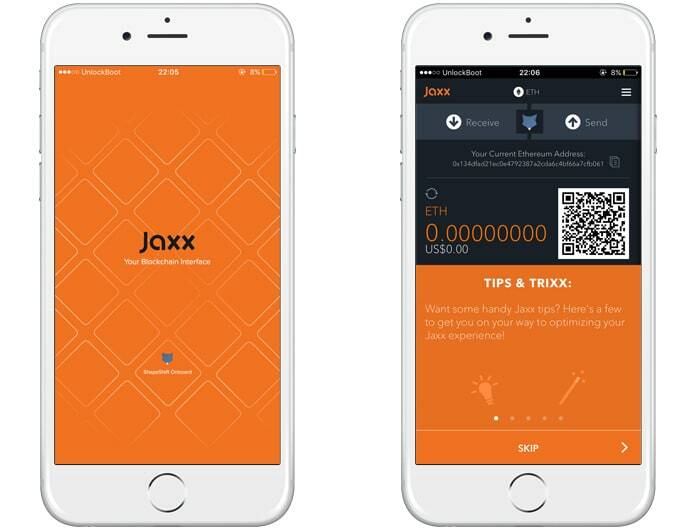 However, it isn’t all show and no substance; the wallet performs its functions very well and is extremely secure and an open source. Exodus offers a lot to any type of user. We hope the best Ethereum wallet apps for iPhone allow you to start trading and storing the hot currency.